Congratulations to the winners of our 2014 End-of-the-Year Contest! One Grand Prize winner received all 32 of Carol Fitzgerald's Bookreporter.com Bets On picks from 2014, while 32 others won a copy of one of these titles. You can see all the winners below, along with 2014's Bets On selections. Summer is here! At Bookreporter.com, this means it's time for us to share some great summer book picks with our Summer Reading Feature. While our series of 24-hour contests have ended, we encourage you to take a look at our featured titles for some sizzling summer reading ideas. 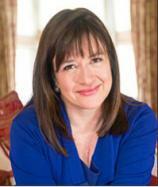 - Click here to see the Summer Reading 2014 Contest winners. A clever, plainspoken heiress whose money gives her a choice among suitors, Charlotte Baird falls in love with Captain Bay Middleton, the first man to really notice her. When Empress Elizabeth of Austria joins the legendary hunt organized by Earl Spencer in England, Bay is asked to guide her on the treacherous course. Their shared passion for riding leads to an infatuation that jeopardizes the growing bond between Bay and Charlotte, and threatens all of their futures. 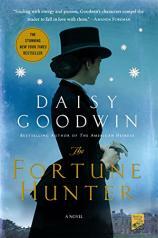 I was a huge fan of THE AMERICAN HEIRESS by Daisy Goodwin, a previous Bets On selection, so when I saw THE FORTUNE HUNTER was coming out, I eagerly read an early copy last winter. I closed it and knew it would be another Bets On pick. Daisy has a knack for weaving period historical details into a book while not dragging down the storyline with them. I confess that on first reading, until I got to the last page and the Author’s Note, I had no idea that the character of Sisi was based on the actual Empress of Austria and not just a fictitious one. The story worked even when I thought she was the conception of Daisy’s imagination. Bay and Charlotte’s relationship was documented historically as well, but Daisy is clear that she took some rein in telling the story. Releases for the week of March 30th include THE FORTUNE HUNTER, Daisy Goodwin's bestselling historical novel about a beautiful empress, a handsome horseman and a bluestocking heiress who form a passionate love triangle; Debbie Macomber's BLOSSOM STREET BRIDES, in which several knitters endeavor to overcome love snafus while a mysterious do-gooder is planting "Knit Me" baskets of knitting projects around the city of Seattle; and HOTEL FLORIDA by Amanda Vaill, a spellbinding story of love amid the devastation of the Spanish Civil War. Empress Elizabeth of Austria, known as Sisi, is the Princess Diana of 19th-century Europe. Famously beautiful, as captured in a portrait with diamond stars in her hair, she is unfulfilled in her marriage to the older Emperor Franz Joseph. Sisi has spent years evading the stifling formality of royal life on her private train or yacht or, whenever she can, on the back of a horse.